There is no doubt that some of the best deals on spring blooming bulbs happen in late fall. Many people assume this is because it is past the time for when to plant spring bulbs. This is not the case. These bulbs are on sale because people have stopped buying bulbs, and the store is liquidating them. These sales have nothing to do with when to plant bulbs. When is it too late to plant bulbs? The main thing you need know about when to plant bulbs is that you can plant bulbs until the ground if frozen. Frost does not make a difference in when to plant spring bulbs. Frost mostly affects plants above the ground, not those below the ground. That being said, your bulbs will perform better in the spring if they have a few weeks to establish themselves in the ground. For best performance, you should plant bulbs a month before the ground is frozen. 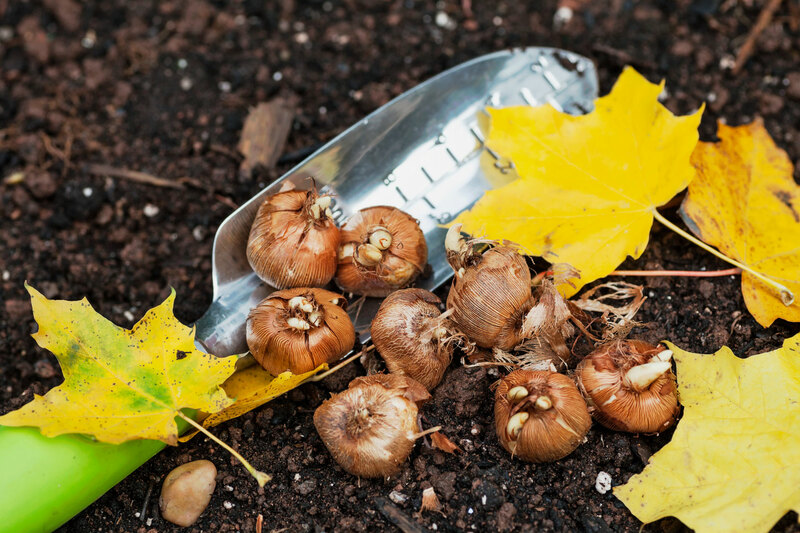 When trying to determine whether is it too late to plant bulbs, the simplest way to test if the ground is frozen is to use a shovel and to try to dig a hole. If you are still able to dig a hole without too much trouble, the ground has not yet frozen. If you have trouble digging a hole, especially if you cannot get the shovel into the ground, then the ground is frozen and your should consider storing the bulbs for the winter. You now have an answer to the question, “Is it too late to plant bulbs?” Knowing when to plant spring bulbs even if you get a late season deal on bulbs means that you can plant more spring blooming bulbs for less money.